By the time the Indian Point bathing beach opened in 1915, the introduction of affordable automobiles was changing the lifestyle of Americans. As families discovered the adventure of travel, the new pastime of “auto tourism” became a booming business. “Tents of Auto Campers Bloom on U.S. Highways,” proclaimed the Duluth News Tribune in May 1922. All along the highways, east or west, wherever the wind blows, are seen the more or less white tents of the auto campers…. What was a continent has become a state; what was a state has become a village. Distance has been obliterated; the east and the west have been hyphenated by the indomitable spirit of gypsying, which springs eternal in the human breast. For many in Duluth, this was hardly news. The executives at Duluth Tent & Awning—who in 1911 purchased Duluth pioneer Camille Poirier’s patent for the “Duluth pack,” a canvas canoe portage pack—had already noted the trend, and in 1918 the company had begun manufacturing the “auto pack,” which clamped on an automobile’s running board to hold extra gear. When Sam Snively became mayor in 1921, he announced his vision to “make Duluth second to no city on the American continent.” Improving the existing parks was the heart of what became known as Snively’s “City Beautiful” plan. He proclaimed that “beautiful parks, broad scenic highways, and modern tourist camp sites are the strongest advertisements a city can have. 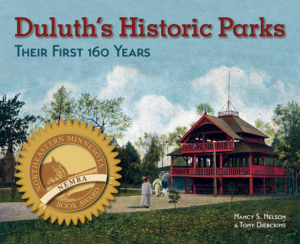 It is my hope that Duluth’s parks and beauty spots will make it universally known.” Snively promised to establish tourist camps and extend the boulevard system to link together the parks. Unfortunately, just as the tourist camp opened, the city closed the bathing beach because the water had become contaminated by sewage flowing into Kingsbury Creek. Cleveland announced that “bathing has been prohibited in the waters off Indian Point because of pollution and the waters there are no longer officially conducted by the city as a municipal bathing beach.” City leaders discussed diverting the sewage to eliminate the pollution, but the beach never reopened. Despite the loss of the bathing beach, the Indian Point Tourist Camp succeeded, although it never became quite as popular as the Brighton Beach camp; the tourist camp at Chester Bowl only operated for two years. In 1926 F. Rodney Paine, who replaced Cleveland as park superintendent, reported receipts of $842.50 from Indian Point and $2,402.00 from Brighton Beach. He speculated that tourists preferred Brighton Beach because “most of the people coming from southern and western states seem to want to see Lake Superior and to camp near it.” Paine also reported numerous problems at Indian Point that made it less appealing: there were no showers, the toilets were in “very dilapidated condition” because the buildings had been heaved by frost, and the only entrance required crossing two dangerous railroad tracks and a decaying bridge that had been condemned. Paine asked city commissioners for funds to make improvements, but they did not respond. In the summer of 1929, Indian Point recorded only 1,693 visitors, while 4,553 people had stayed at the Brighton Beach Tourist Camp. The onset of the Great Depression forced budget and staff cuts to all city departments. Paine reported that “during the year , it has been found necessary to give relief to the unemployed, both by private and public funds. The park department was fortunate in having work that could be done by common labor.” Paine’s focus shifted toward minimizing maintenance costs and maximizing any revenue the park system could generate. He believed that investments in the tourist camps would pay off, so in 1930 his work crew built a new toilet building and two cabins at the Indian Point Tourist Camp. 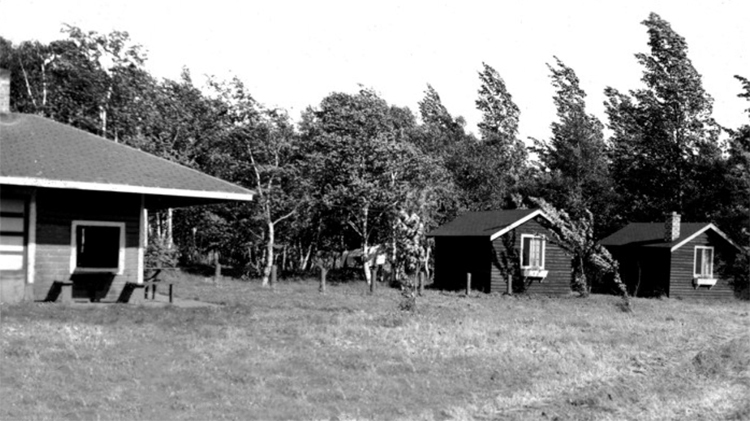 Six more cabins were built by 1934. Throughout the Depression the city’s tourist camps were profitable. From 1933 through 1935, Paine reported a net annual income of about $250 from the Indian Point Tourist Camp, about $4,200 in today’s dollars. Renovation projects in 1965 and 1970 brought additional improvements, and the cabins were removed. Today Indian Point Campground, now managed by a private company, still welcomes travelers. The budget for the St. Louis River Corridor Initiative, announced by the city in March 2015, included $1.5 million to “renew and update Indian Point Campground.” A master plan for the improvements will be prepared in 2016, and work will start in 2017.